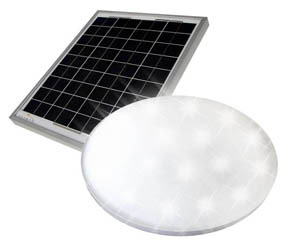 The Solaro Day™ is powered by a solar panel that provides low voltage DC power to the LED light in the fixture. Once installed, the solar panel transmits electricity to the illuminated fixture via a small cable that requires only a ½-inch hole drilled into the roof. 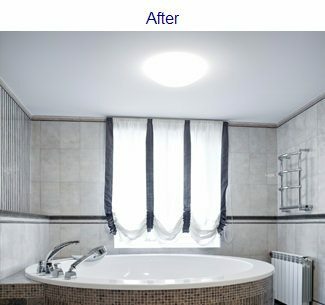 The Solaro Day™ skylight can be installed in just about any location and is not limited to areas directly accessible to the roof the way tubular skylights are. The lighting unit allows broad-spectrum light without any UVB rays that can fade carpets and upholstery. 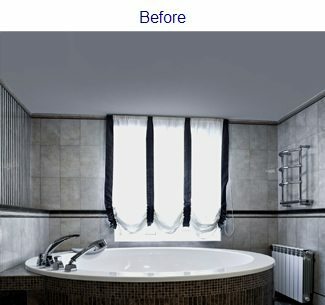 There are two options for the light diffuser, frosted glass or traditional skylight.